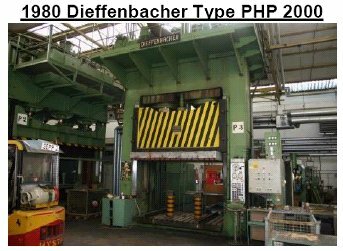 2500 Ton Used DANLY and (3) 1000 ton PRESSES IN COMPLETE WORKING PRESS LINE for sale.for sale at a wholesale price. 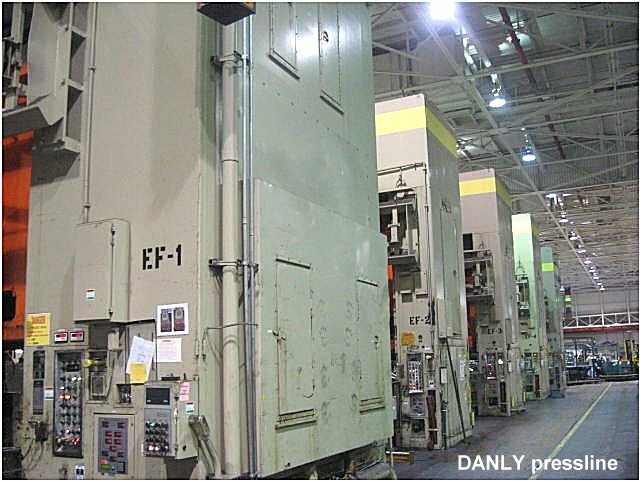 (1) 2500 Ton Used DANLY and (3) 1000 ton PRESSES IN COMPLETE WORKING PRESS LINE for sale. 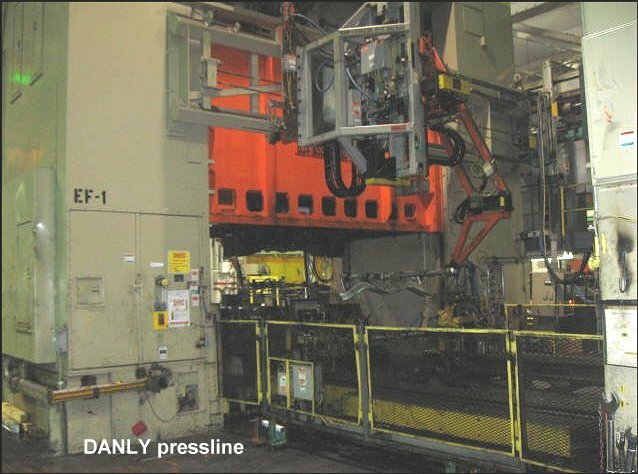 Main straight side Danly press has 38"STR, 72"SH, 30"ADJ, 180"X96" Bed size and we can arrange shipping on this press line, and other individual presses listed here worldwide. 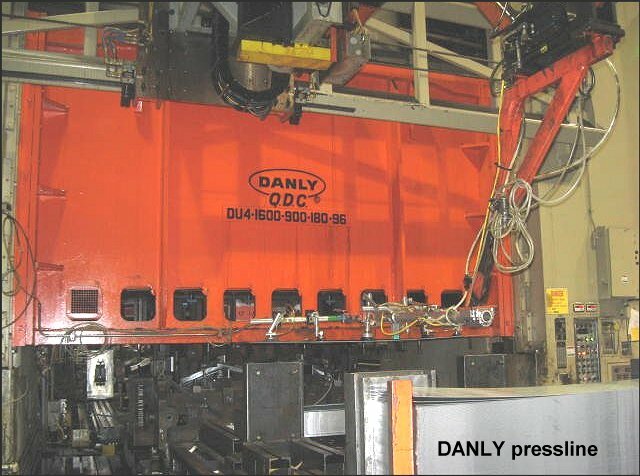 Our reference number is for this Danly pressline is #4997 and the below specifications best describe this all the production straight-side DANLY presses being sold together or individually. 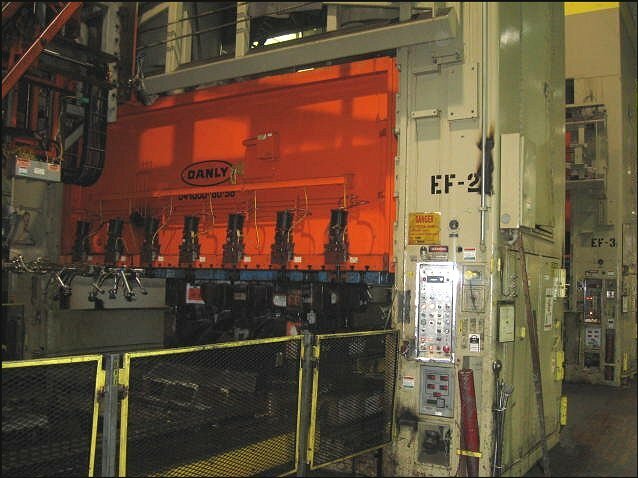 Please call or fill in information/quote request form below for the DANLY 2500 ton and 1000ton straight side press line quote and receive full detailed specs. 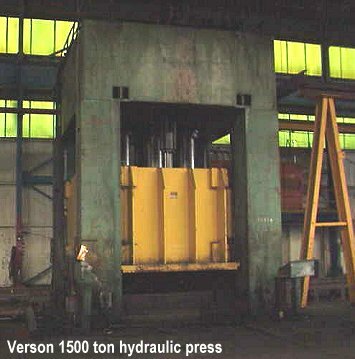 Tech Machinery Sales has this used 2500 ton HPM Hydraulic Press for sale at a wholesale price. We arrange shipping worldwide. 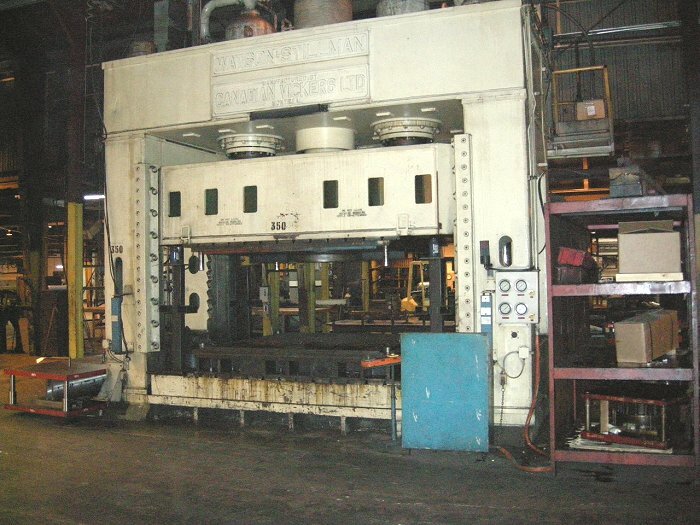 Stroke = 24" Daylight = 48"
Platen is 200" x 66" with Bed size 100" x 66" between posts. Nationwide and international shipping and immediate delivery terms. 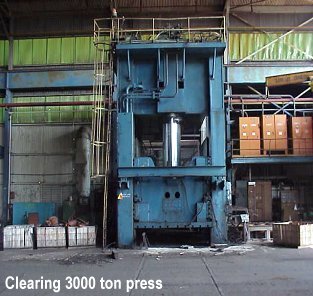 Rare 1971 Clearing 3000 ton spamping press in great condition for sale at liquidation price. 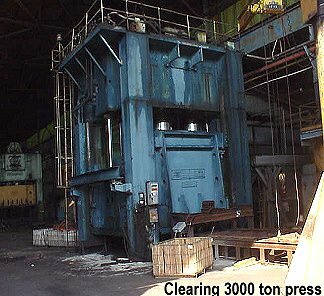 Call Tech Machinery for pricing and further Clearing press details. 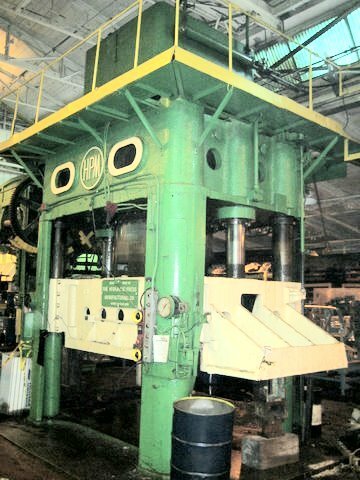 STROKE 48" ..... Daylight = 132"
Below you'll find some newly purchased presses available for immediate delivery. 6. 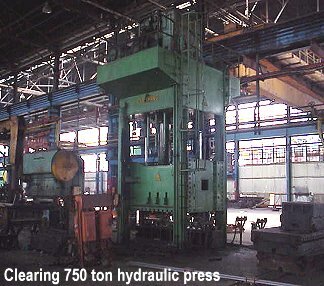 Used 2500 ton HPM Hydraulic Press for sale at a wholesale price. 7. 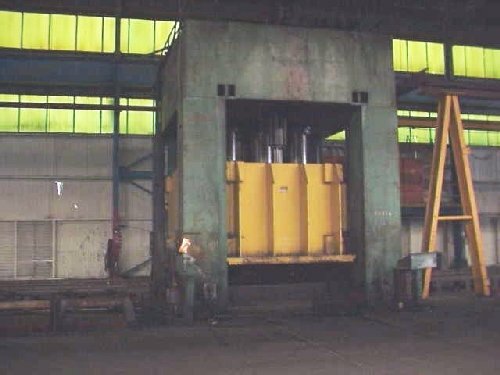 Bliss 5000 ton 4 Post Hydraulic metal stamping press at liquidation price. 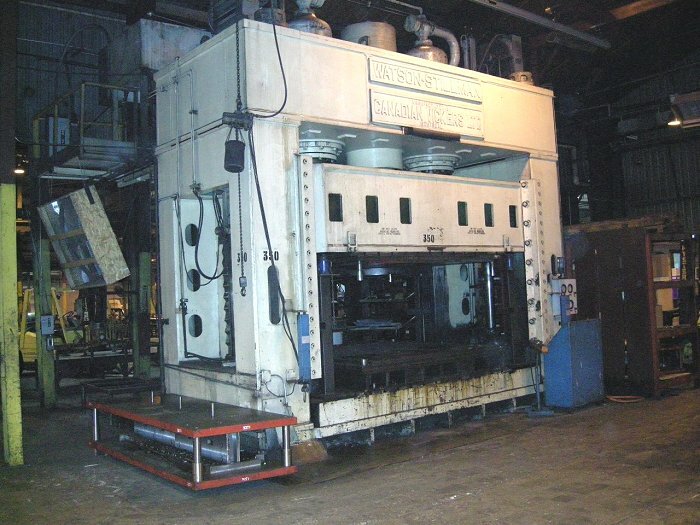 Bed & Ram area: 160" right to left x 96" front to back....Tee Slotted Bed & Ram..Stroke:= 60" and 72" daylight......Two 150 hp motors......press updated in 1996 with new controls, seals, light curtains and any worn or damaged parts replaced. 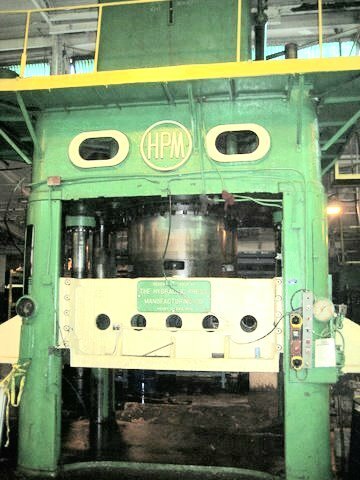 Great condition and can be seen under power in plant. 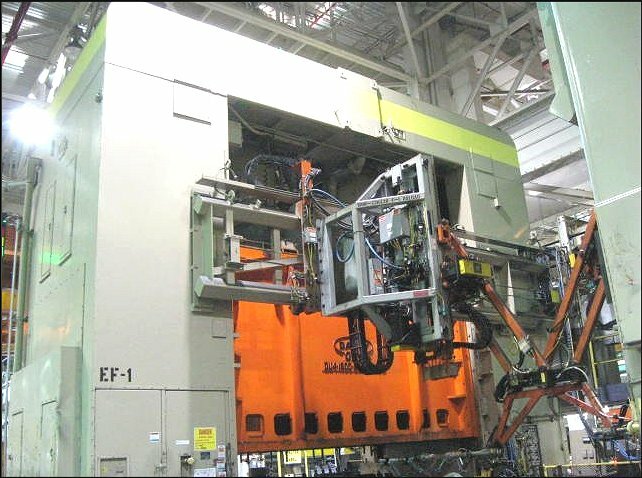 Call for pricing and inspection appointment. 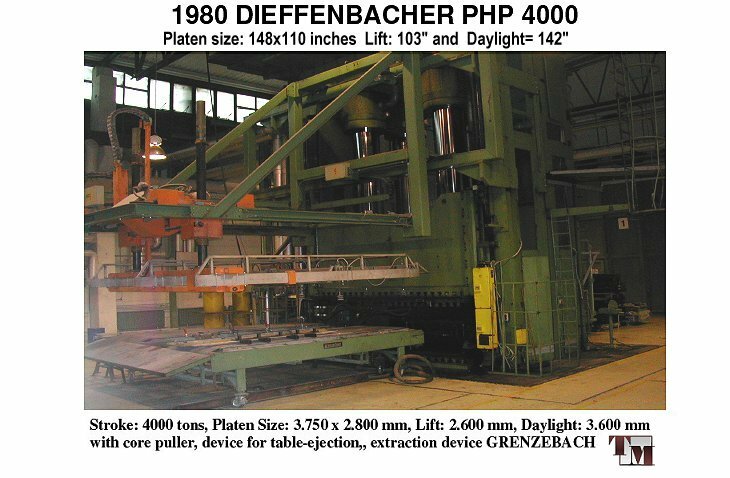 max compression force= 2000 tons with Platen clamping surface 100x60" with 56" lift and 76" daylight. 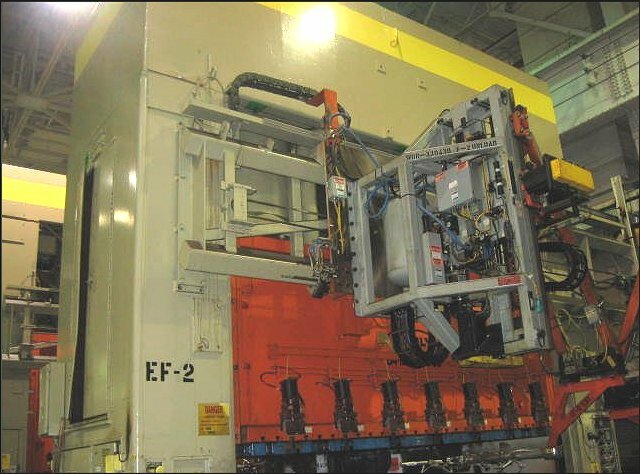 options include Core Pullers and 3 Ejectors and can be shipped worldwide. 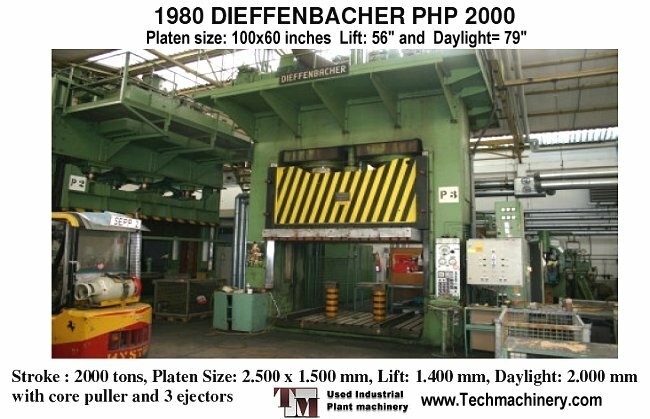 1980 Dieffenbacker Type PHP 4000 ton hydraulic press: Max compression 4000 tons with clamping surface 148x110 inches Press lift= 103" Daylight= 142". Min installation clearance height= 144". 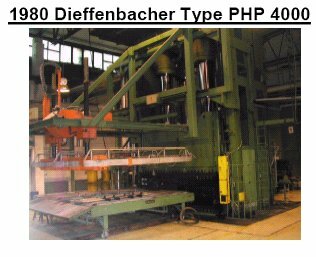 Press has Grenzback Extraction option, Table Ejector and Core Puller accessory..